In its early days of discovering then partying on the islands best rooftops, this community of disco pushers, flash fixers, and wax junkies; slowly banded together to create the annual sacrament that is CALYPSO. Spreading its philosophy of island vibe ceremonials through regular parties and get-togethers. The ultimate focus is creating the perfect texture for communal gathering through dance music; CALYPSO has collaborated their celebrations of good times with friends in local artist clans (LTD Edison), Jakarta party collective (Scrubs! ), also International acts (Jonny Nash, Komodo, Taku Hirayama, Jonathan Kusuma, Yadin Moha and Justin Vandervolgen). 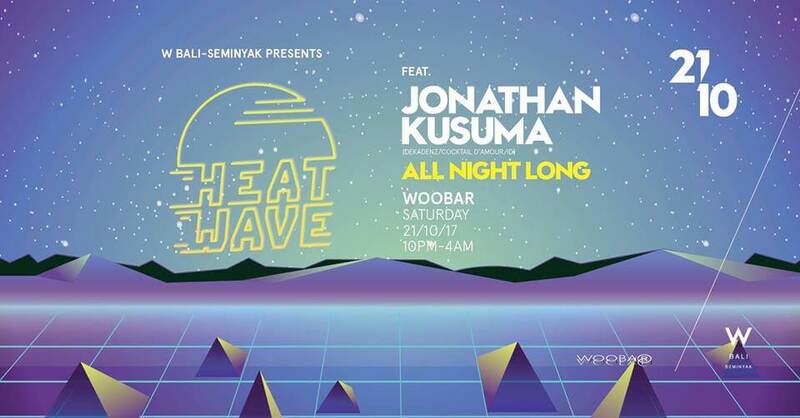 In this new climate, we are opening with a new set, heating up late night sessions at Woobar under the guise: HEATWAVE!